Cottleville is considered a "green" community, and with that in mind, we have an extensive trails system to assist our residents to also be "green." Consider an alternate mode of transportation the next time you go to Mannino's in Old Town, to school at Warren Elementary, or to your favorite restaurant or pub. The Vantage Lake Trail is a 0.7 mile paved trail that completely surrounds Vantage Lake in Legacy Park. 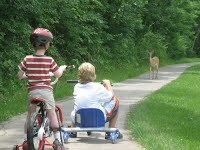 Park benches are spaced throughout the trail for a quick rest and to enjoy the wildlife. The Warren Cottle Trail is a "safe routes to school" trail winding through Cottleville's community garden to Warren Elementary School. This trail is to encourage elementary and middle school children to safely walk and bike to school, thereby promoting a healthier lifestyle. This will help reduce traffic congestion, air pollution, and potentially improve the living habits of an entire generation of school children. This trail is named after Captain Warren G. Cottle who received a Spanish land grant in 1798 on the Dardenne Creek and later founded Cottleville. The Podhorn Memorial Trail which surrounds Harmony Lake, connects on the eastern side of Legacy Park. This trail will also take you to Cottleville Parkway near St. Charles Community College. The Podhorn Memorial Trail was named after the Podhorn Family who once owned & farmed the area. They later donated and designated this area as a City park. 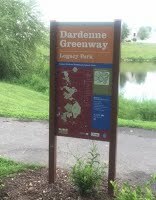 The Dardenne Greenway Trail is a trail along Dardenne Creek. 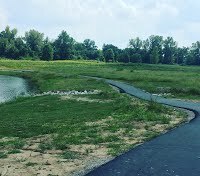 The City of Cottleville has worked closely with the Great Rivers Greenway Organization in creating the Dardenne Greenway Trail. 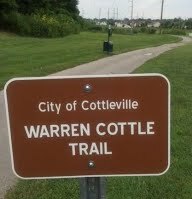 This trail is accessible via several locations around Cottleville. 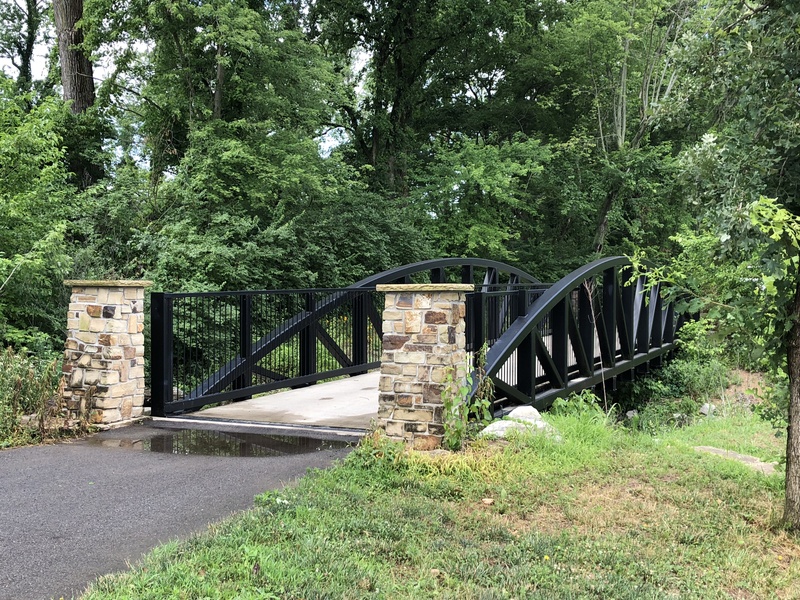 The trail connects Old Town Cottleville to St Charles Community College, The Woodlands, Rabbit Run Park and even as far as the St. Peter's Golf Course. Ride your bicycle, walk, jog or cruise the path in your golf cart. Koontz Fort Trail was completed in Spring 2015. This trail is a 8 ft wide, dry weather, 0.4 mile trail winding through the woods from Brittany Place subdivision to Legacy Park. Take a walk and hear the quiet of the woods and watch the native animals in their habitat. The Koontz Fort Trail received its name after Nicholas Koontz, who built a fort during the war of 1812, located on Highway N, which is the old Boone's Lick Trail Way. Scott A Lewis Park Trail is a paved trail, 8.5 ft wide, at 0.5 miles. It offers a scenic walk near Buchheit Lake located in Scott A. Lewis Park off Mid Rivers Mall Drive within Miralago Subdivision at 1000 Scott A. Lewis Lane.